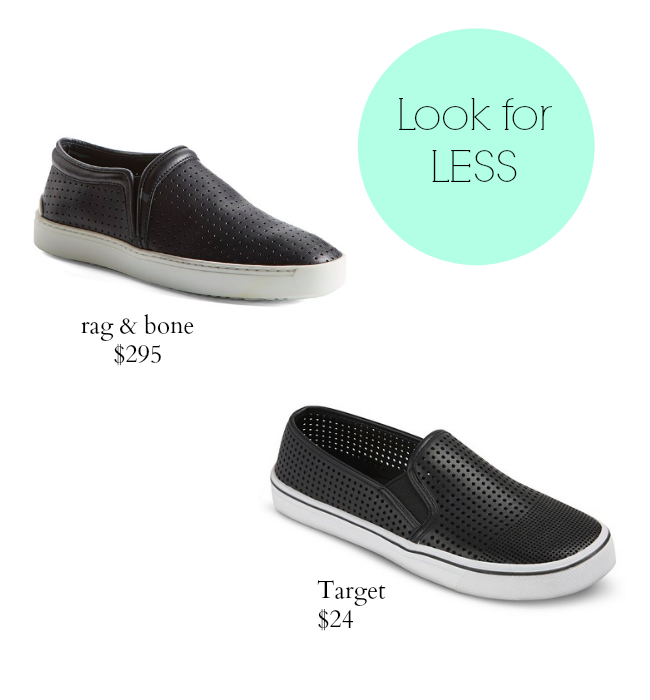 These Rag & Bone black perforated slip-ons retail for $295. 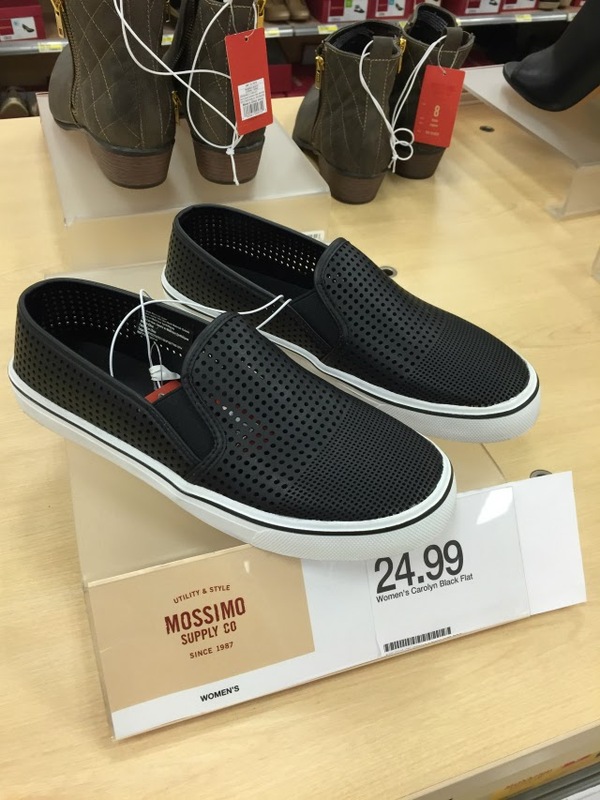 If you're looking for a similar look for less, we spotted these budget-friendly alternative from Target for only $24 bucks. They would look great with a pair of skinny jeans and tee. Here's what they look like in person. I ended up buying a size 7 1/2 but they run a bit big. I'll most likely have to exchange them for a size 7.